Compare the Bernese Mountain Dog to the Scottish Deerhound. Use the tool below to compare temperament, size, personality, maintenance requirements, and everything else between Bernese Mountain Dogs and Scottish Deerhounds. Owner Experience - The Bernese Mountain Dog is a good choice for new owners, whereas the Scottish Deerhound is not recommended for new/inexperienced owners. Children - Both the Bernese Mountain Dog and Scottish Deerhound are great with children. Grooming - The Scottish Deerhound requires moderate grooming, The Bernese Mountain Dog has very high grooming needs. 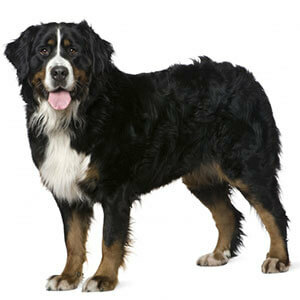 Barking - The Bernese Mountain Dog has an average tendency to bark. 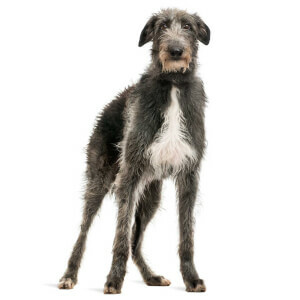 The Scottish Deerhound will bark less frequently than most dogs. Height 23-27 in. 28-32 in.